As a husband is to his wife so is Jesus Christ to His Church. His Crucifixion is His marital vow and His mockery and beating His wedding feast. 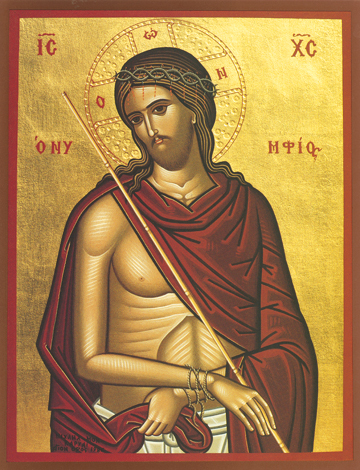 The Bridegroom icon shows Christ stripped of His garments and clothed in a scarlet robe to mock Him. He wears a crown of thorns, causing blood to flow from the wounds. A reed is placed in His bound hands as a scepter.